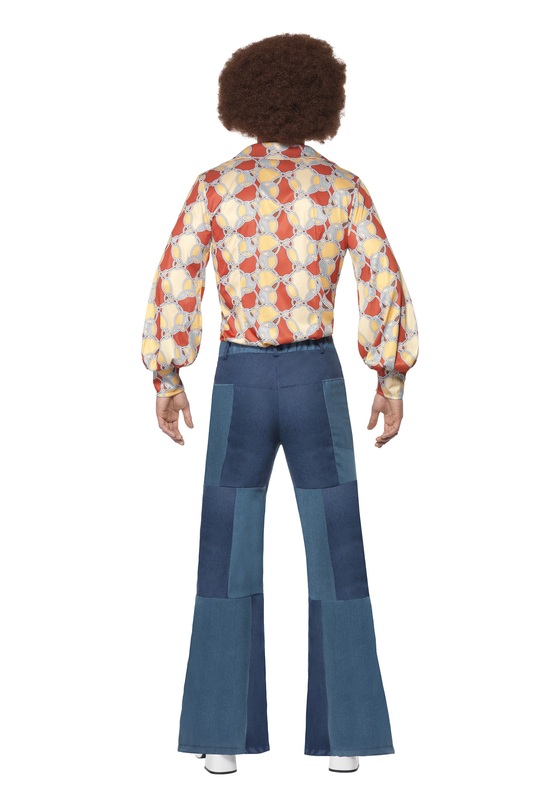 Even the grooviest guy can't sparkle 24/7, sometimes your disco duds need to be left behind. So when you're walking down the street, picking up a bagel and coffee, how are those foxy chicks supposed to know that you're down with the groove? Whatever the time and place, you can always bring your flare with you. 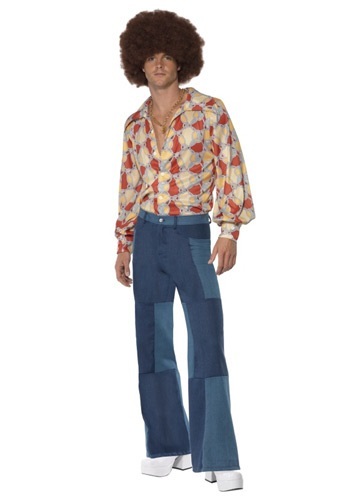 The perfect look with a rad pair of platform shoes, these bell bottom patched jeans tell the world that you can chill and still rock that funkadelic style. You're always in the mood for dancing, but you need to live your day to day as well. Your new slacks will take you with ease from the streets to the action in no time. 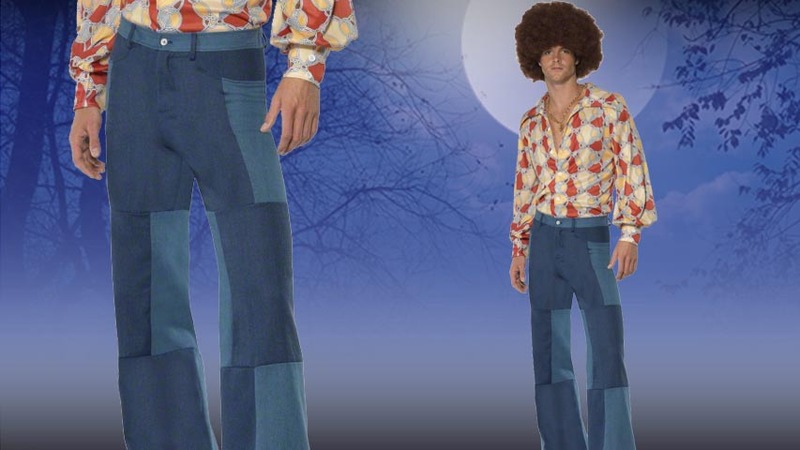 You'll easily blend in at the bodega or go grooving at the club with a tight fitting pant that shows off your moves. When it comes to that funky music, you know you dig it, let those disco dogs know too. You never know who's watching you. In these sweet slacks, odds are most people are watching, wanting to see what a cool cat like you is going to do next.